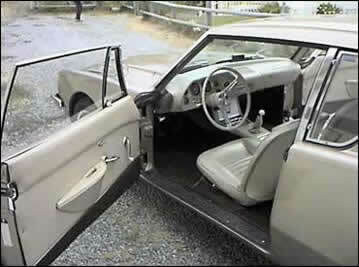 The 63 Studebaker Avanti interior from the passenger side. 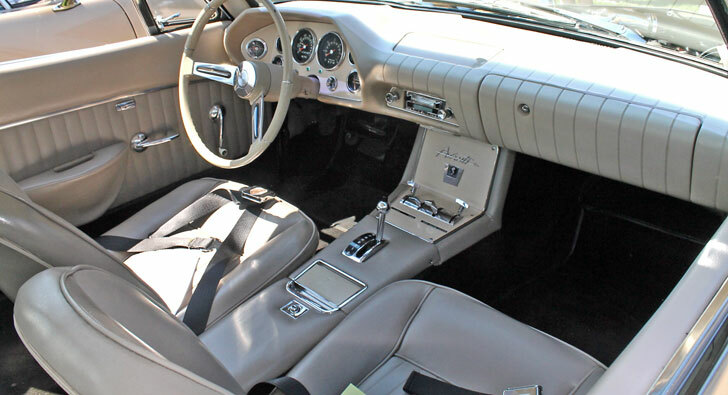 Stock interior instruments, steering wheel, and console. 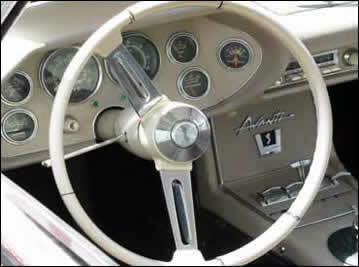 An Avanti interior with the 46.5 in door open.